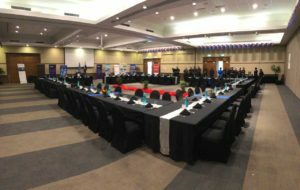 The Fiji Australia Business Council and the Australia Fiji Business Council are pleased to announce their 2018 Joint Business Forum. The Forum theme is "Partners and Solutions for Business." Day 1 of the Fiji Australia Business Council and the Australia Fiji Business Council Joint Business Forum. Day 2 of the Fiji Australia Business Council and the Australia Fiji Business Council Joint Business Forum. Day 3 of the Fiji Australia Business Council and the Australia Fiji Business Council Joint Business Forum. Fiji's only progressive dinner where guests have the opportunity to meet The Who's who of the business and diplomatic community.